When a writer makes you feel for a character, it’s a magical sensation. When a writer makes you connect with a character you never thought you’d feel anything for, it’s even rarer. This has been the case with Scott Lobdell’s take on Bizarro in his latest run on Red Hood and The Outlaws. Bizarro, the imperfect clone of Superman, was a character I never took seriously. His origin and creation seemed derivative, but Lobdell’s story has changed my mind. Here’s how he’s managed it. Bizarro’s transformation into a sympathetic character began with the Forever Evil storyline. Lex Luthor had tried to clone Superman, ending up with an imperfect copy. When the Crime Syndicate took over the world, Luthor used the clone in his plan to stop them. Later, when Luthor and his team pass through a tunnel, the clone is afraid of the dark. Luthor comforted him with a story about his own fears. The clone spoke his first words ‘Bizarro try.’ Luthor became fond of Bizarro and though he is eventually killed in the final battle, Luthor avenged his death. This version of the character followed over into Lobdell’s take. In Red Hood and The Outlaws, Jason Todd and Artemis came across Bizarro in a train car. Black Mask planned to use him to take over Gotham and he tried to turn Bizarro into a weapon. Jason was able to reach Bizarro on a deeper level and teach him that he didn’t have to live in the shadow of someone else. The interaction between Red Hood and Bizarro showed a touching relationship that made me think of a parent talking to a child. Lobdell chose to present Bizarro as a new born baby, in awe of the world and having no sense of right or wrong. His innocence is an appealing part of his personality. Jason bought a Superman toy for him as a way of reminding him what he can aspire to be. Bizarro named the toy ‘Pup Pup,’ keeping it close as a child would. Jason assumed the position of his guardian, fully aware that Bizarro was a danger to everyone around him. Later, Red Hood took Bizarro to a secluded place with the intention of killing him. As the two of them talked, Bizarro revealed he had Superman’s memories, but he knew they weren’t his. He claimed his real memories didn’t start until he met Jason and Artemis. This self-awareness shows another facet of his personality. Although he can’t form words properly, Bizarro is shown to truly care about his friends. Jason noticed his friend’s self-awareness and decided to let him live. The latest arc in Red Hood and The Outlaws centres around Bizarro’s deteriorating health. When Solomon Grundy goes on a rampage in Gotham, Red Hood and Artemis try to stop him. When Bizarro finds out his friends are in trouble, he pulled himself off his sick bed and went to help them. This selflessness is reminiscent of Superman, as Bizarro knows he’s dying but it doesn’t stop him from wanting to save the people he cares about. Bizarro manages to stop Grundy, but he uses up the last of his energy and dies in front of friends. This scene is a parallel to 1992’s The Death of Superman arc, highlighting Bizarro’s heroism. Lobdell has turned Bizarro into one of the most sympathetic characters in DC: Rebirth. He’s been helped by the amazing art of Dexter Soy. Soy has consistently shown how emotional Bizarro can be, capturing lots of facial detail. 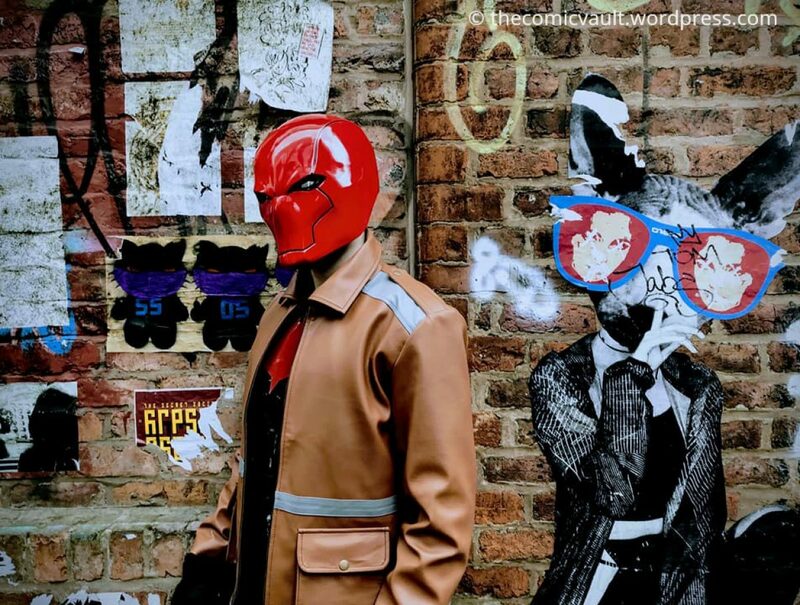 If there’s one comic you should be reading right now it’s Red Hood and The Outlaws. Bizarro is the breakout star of the series and he’ll tug on your heartstrings every time he’s on the page. Previous Previous post: What Makes Silence Golden To Black Bolt?